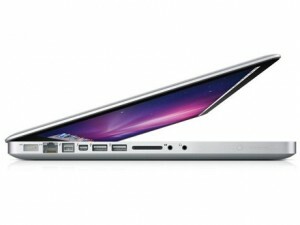 After the successful launch and warm response on its new iPhone 5, Apple to unveil its 13 inch MacBook Pro with high resolution Retina display, report says. This MacBook Pro will be unveiled at the mini event that is expected to be held on October 23, reliable source have informed the public. So far, Apple has made secret its details but it is hopefully introduced during this event. The analysts of the market are considering it a great achievement by the company. Hopefully, this will be sold in two configurations depending upon the processors and storage capacity of the device. There were some reports in the market that Apple had plans to release smaller Retina MacBook Pro before the end of the year. And now, these reports have been confirmed. The analysts of the market are quite hopeful about the successful launch of this product by Apple and they are also predicting that like other products of the same company including iPhone and iPad, this MacBook Pro will also get larger share of the market. This MacBook is expected to be thinner and lighter that the 15 Inch MacBook model that was released by the company during this June. The market gurus are also expecting a higher price of this device as compared to the previous one. Reuters, in its report has confirmed that Apple has plans to introduce its product before Microsoft, which is also going to unveil its Surface tablet on 26th October. The market analysts and general public are anxiously waiting for this event.